Getting new roof can be an expensive part of house maintenance but it is something money should be set aside for as leaving it too late can result is unexpected bills for roof repairs. Roofing work is inevitable but it’s worth keeping an eye on your roof on a regular basis to check for damage and to nip problems in the bud. But when do you know it is time to get a new roof? Here are 5 things that would indicate that a new roof might be needed. Most people don’t know how old their roof is and because of this they are missing out on the the biggest indicator of whether a new roof is needed or not. The typical lifespan on a roof is about 20-25 years. If you know that your roof is as old as this you should consider getting it replaced. You may notice this happenng on the side of the roof that faces the sun or any part that’s exposed to extreme weather. Once you start to see shingles buckling a new rood might be on the cards. It might sound obvious but unless you check for it you may not notice. Extreme weather can cause shingles to go missing and if you don’t address this you migth end up having to replace a whole section of the roof. 5. If the granules in your gutters start to get washed away (usually after period of heavy rain) it’s a good sign that your roof is in nee of repair, so you should check for this regularly. We recommend making regular checks to look out for damage and taking action if you spot any of the above. It’s wise to have some money set aside for a replacement roof as old roofs can quickly deteriorate in bad weather. Evana Roofing are Glasgows leading roofing specialists. 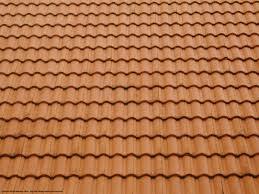 They are a family run business with over 28 years experience in the roofing industry. Evana – Glasgow Roofers you can trust.